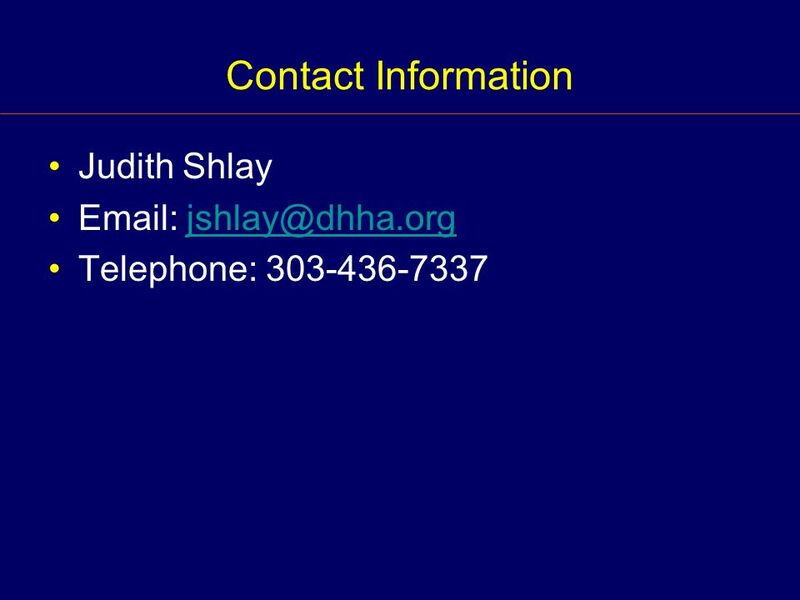 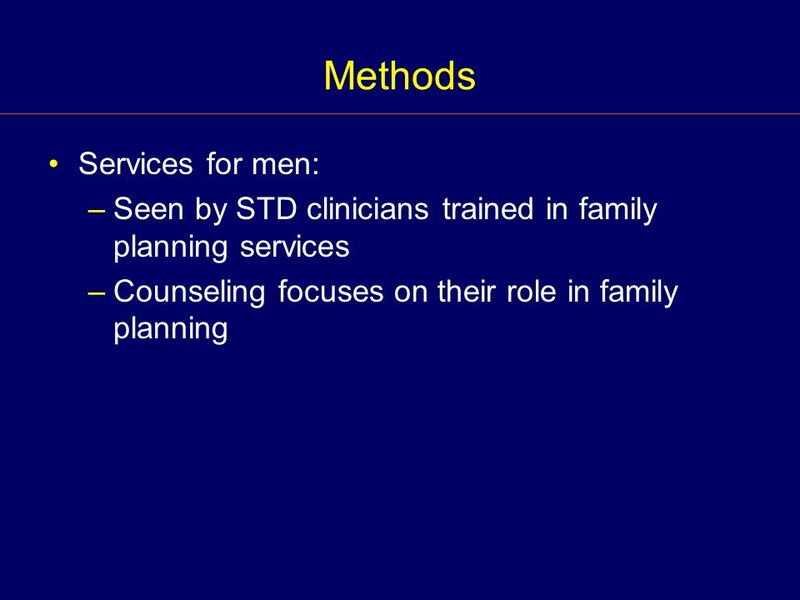 Integrating Family Planning Services into an STD Clinic Setting Judith Shlay, MD, MSPH Denver Public Health Denver, CO.
Download ppt "Integrating Family Planning Services into an STD Clinic Setting Judith Shlay, MD, MSPH Denver Public Health Denver, CO."
Sexual behaviour Additional module for inclusion in countries where HIV/AIDS is a potential concern (includes MDG indicator 19a) Womens questionnaire (ages. 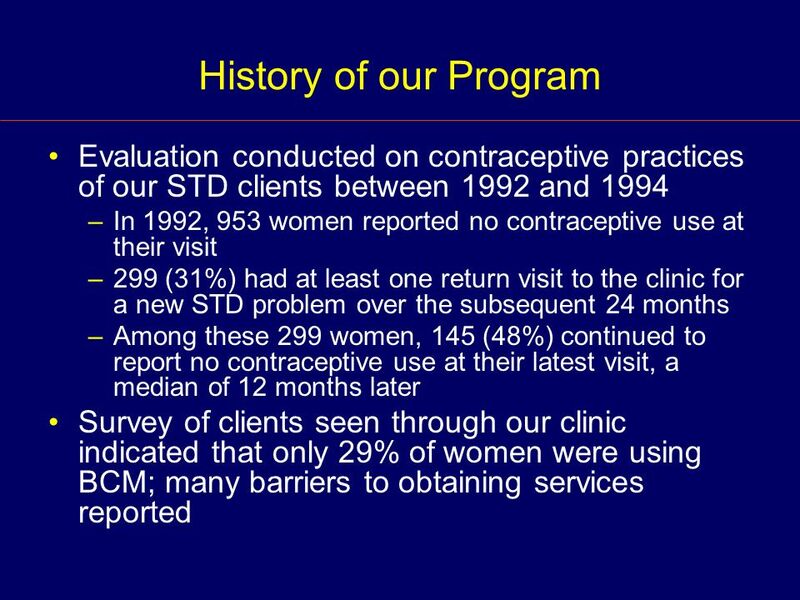 TRCHS 1999 Tanzania Reproductive and Child Health Survey (TRCHS) 1999 Preliminary findings presented by The RCHS Unit, MOH. 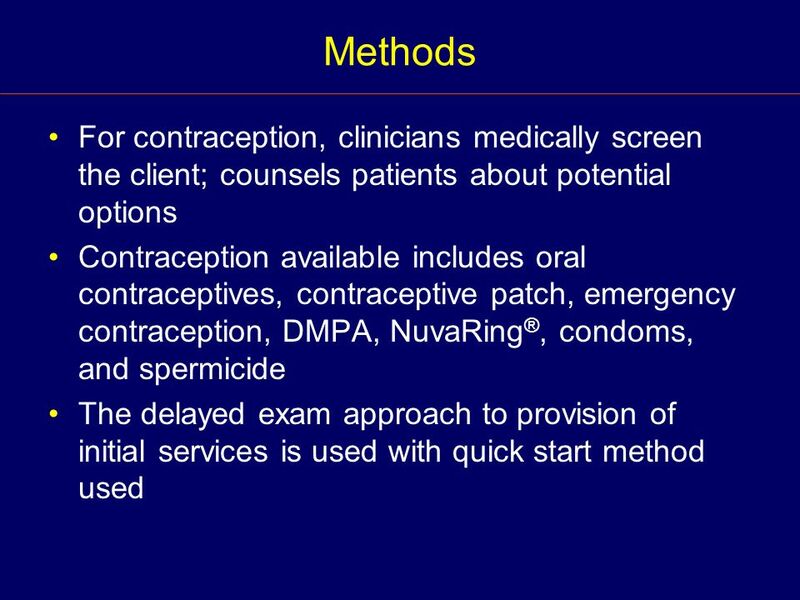 What does sexual & reproductive health have to do with clinical trials? 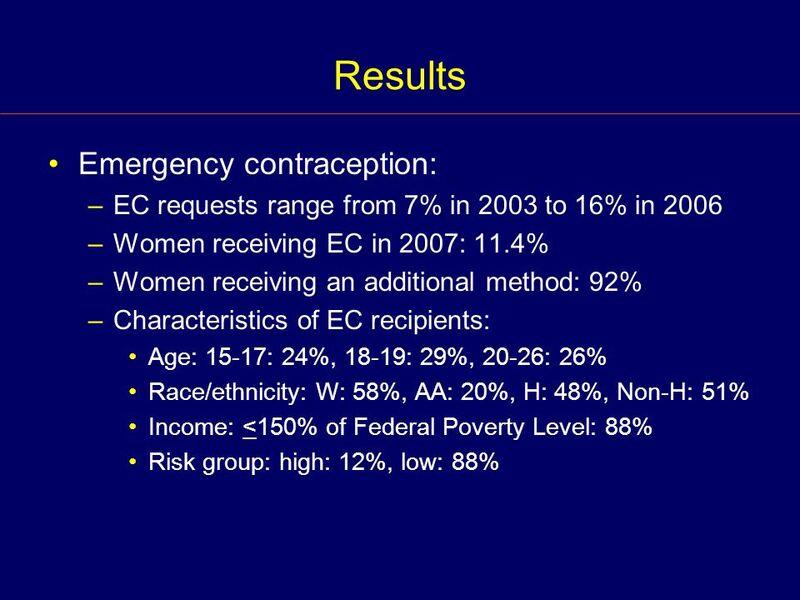 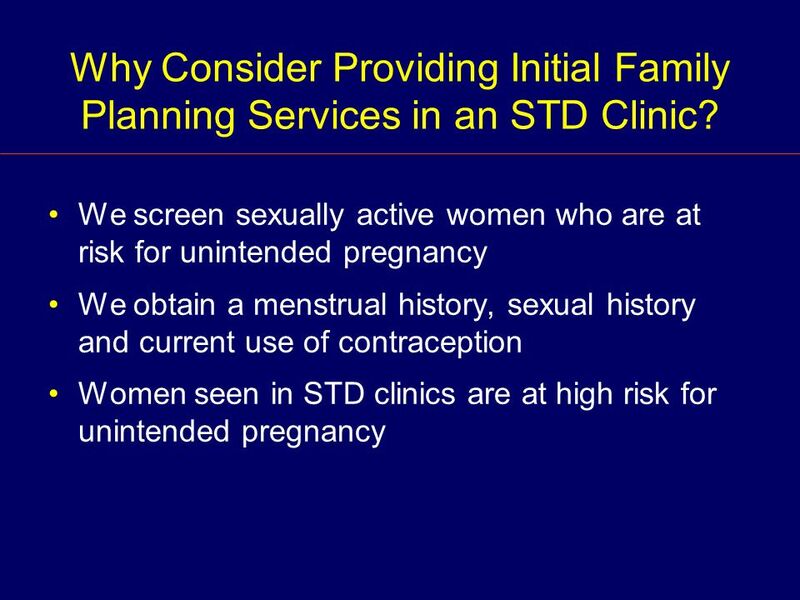 Providing contraception & reproductive health care helps. 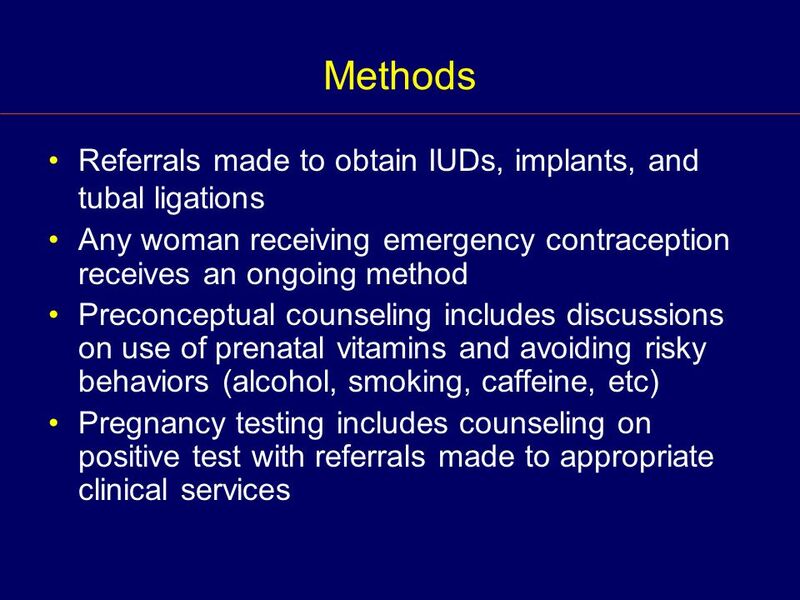 1 Pre and Interconception Education and Counseling: Strategies from Florida Presented by: Betsy Wood, BSN, MPH Infant, Maternal & Reproductive Health Unit. 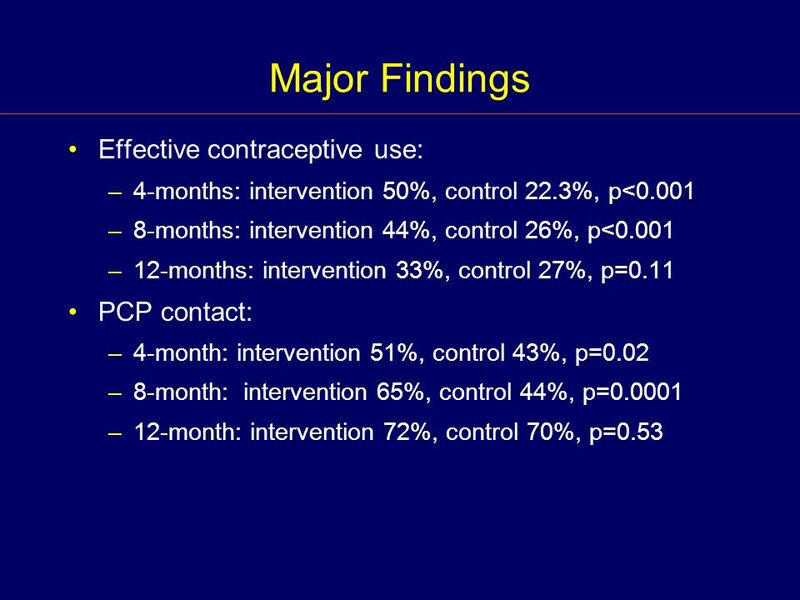 STIs in Victoria who why prevention Rebecca Guy Centre for Epidemiology and Population Health Research, The Macfarlane Burnet Institute for Medical Research. 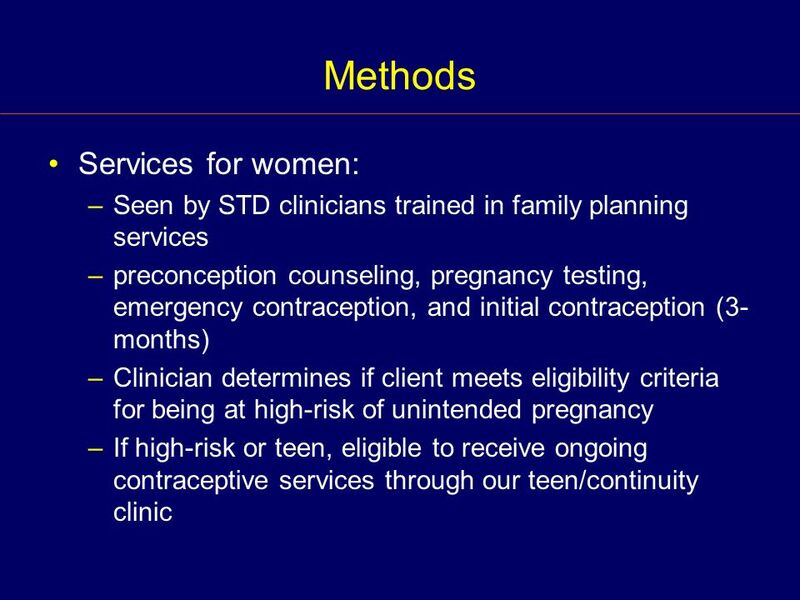 Chlamydia Screening and STD Education For High-risk Teens: A Peer Outreach Program C. Leah, L. Jackson, K. Guzman, A. Arroyo, D. Borntrager, R. Gunn Health. 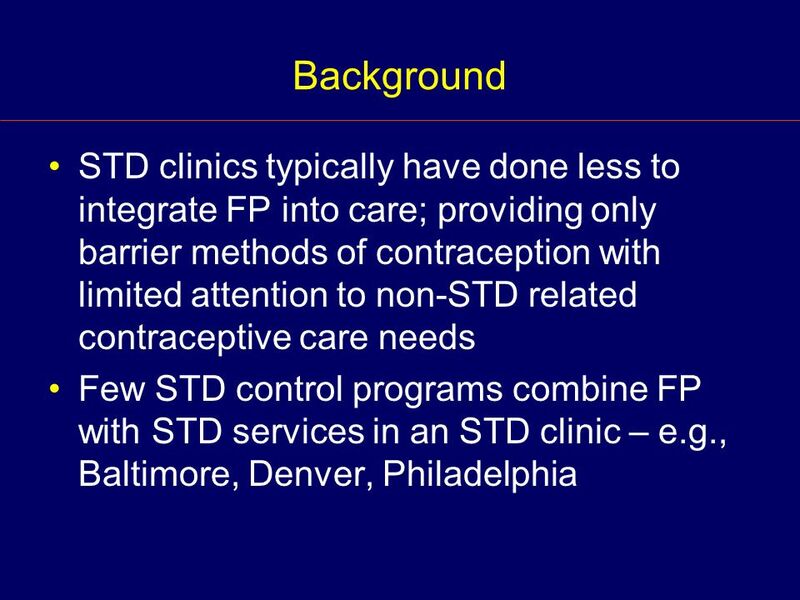 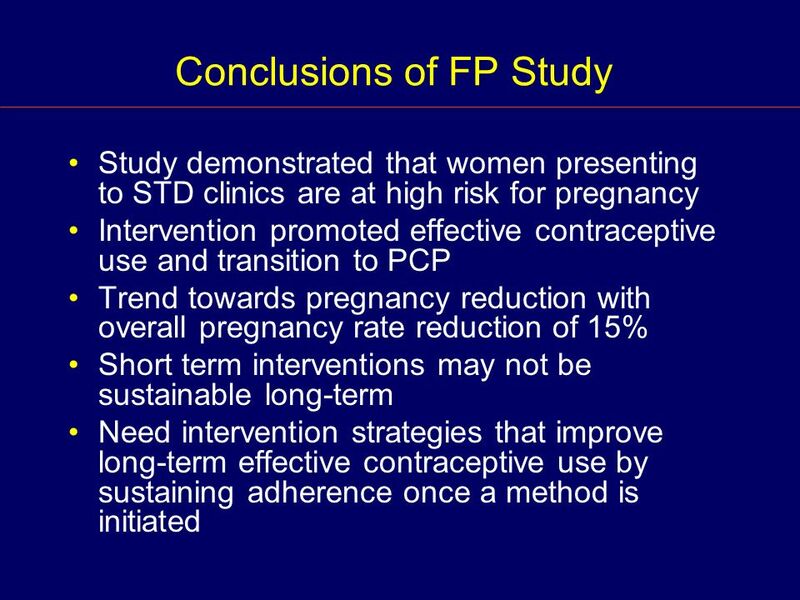 Comparison of STD Prevalence by Reported Condom Use Errors in 100% Condom Users of an Urban STD Clinic Judith C. Shlay, MD, MSPH Jennifer Landrigan, MHS. 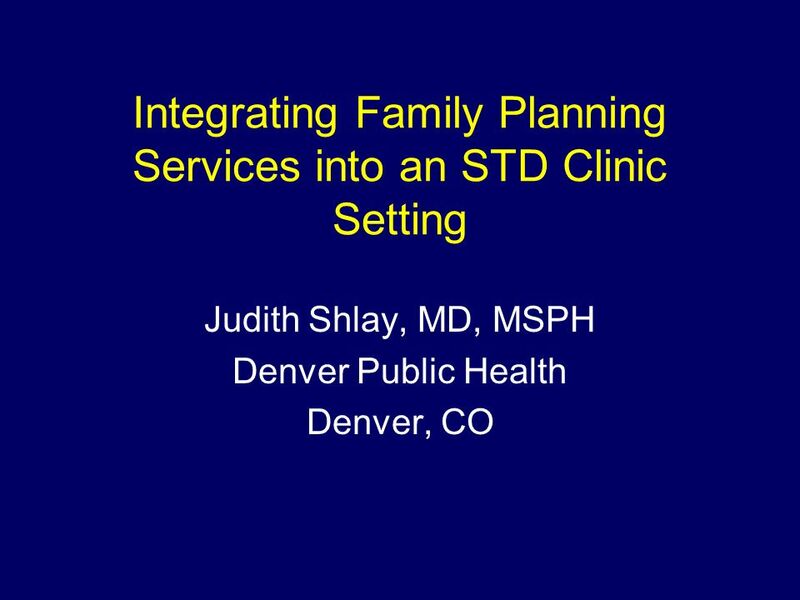 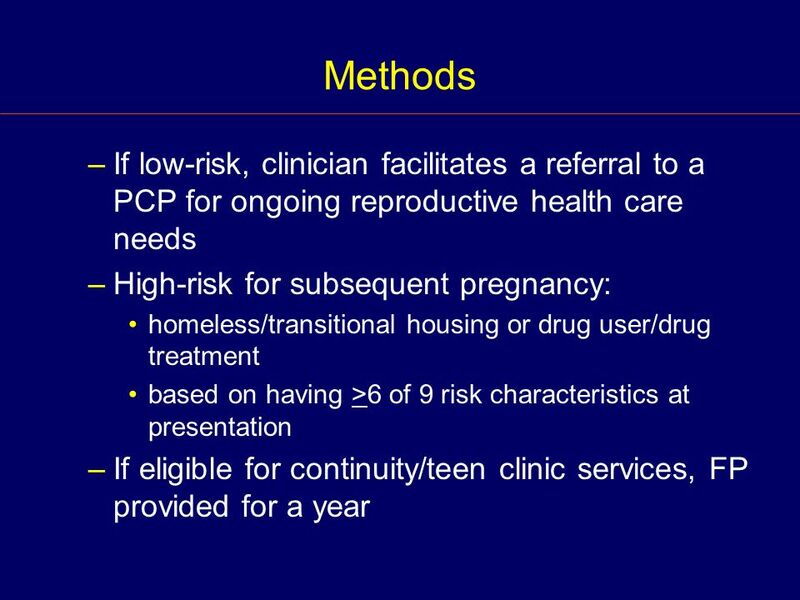 Integrating Family Planning Services into an STD Clinic Setting J. Shlay, D. Bell, M. Maravi, C. Urbina, and the entire Denver Metro Health Clinic Staff. 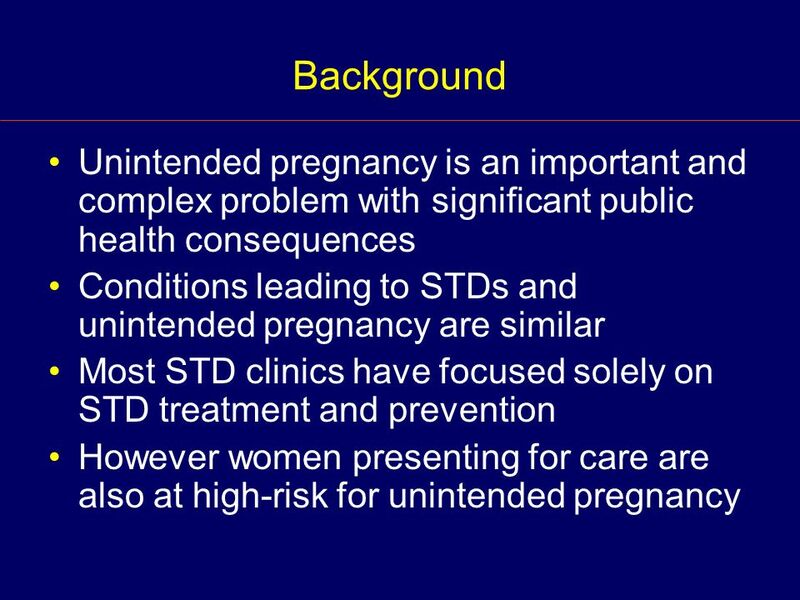 Sexual Behaviors that Contribute to Unintended Pregnancy and Sexually Transmitted Infections, Including HIV Infection. 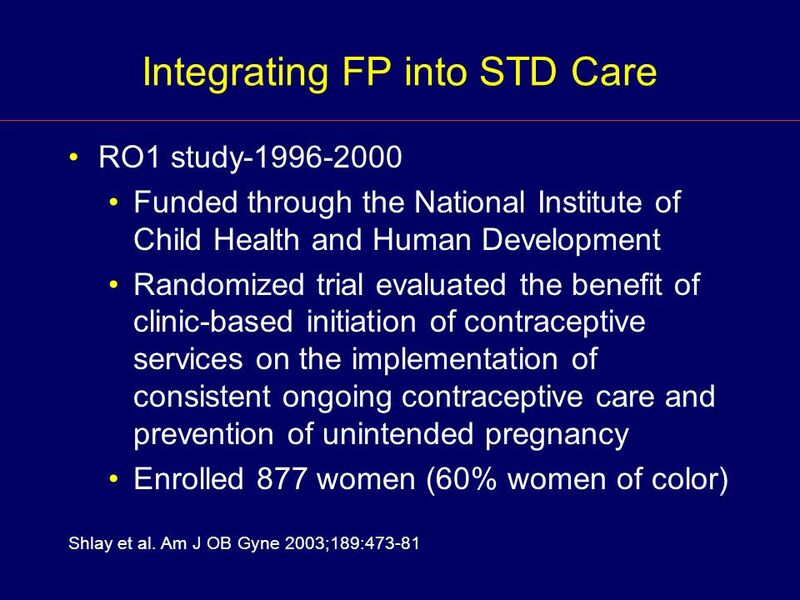 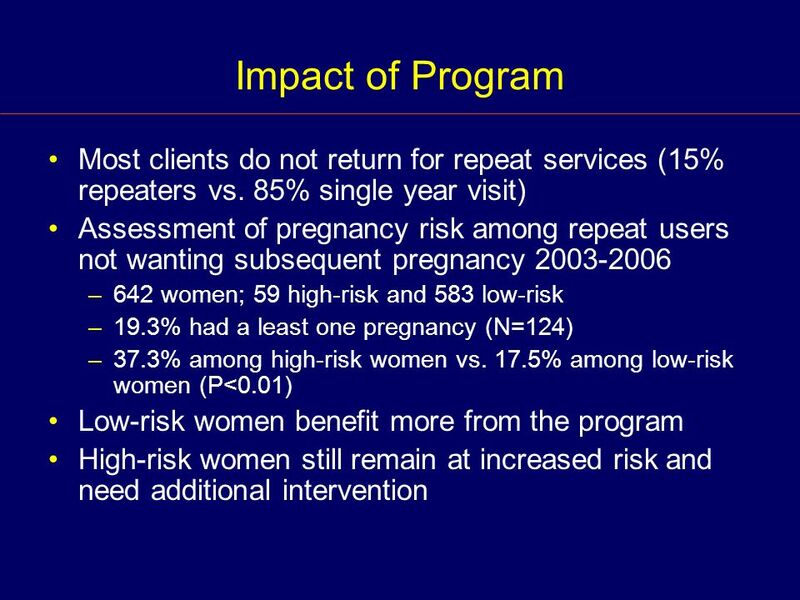 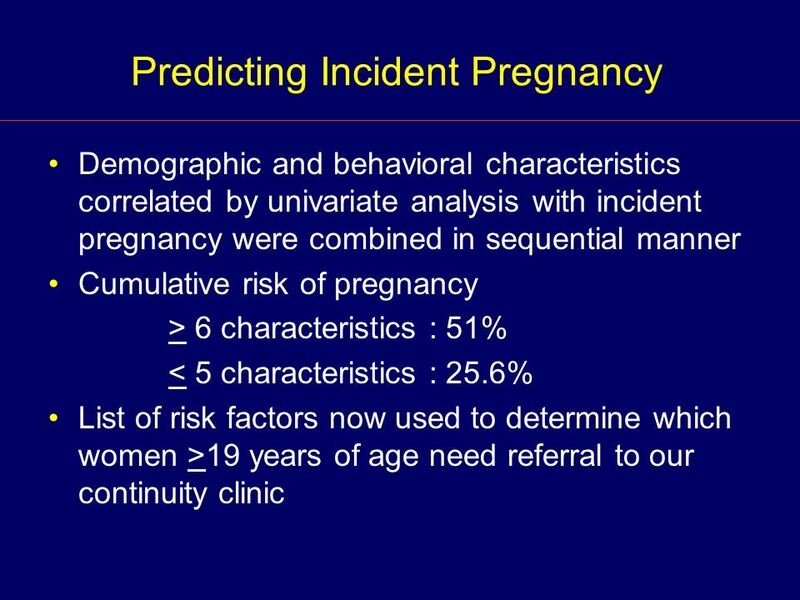 How Using Family Planning to Time and Space Pregnancies Reduces Mortality Adrienne Allison, December 12, 2012. 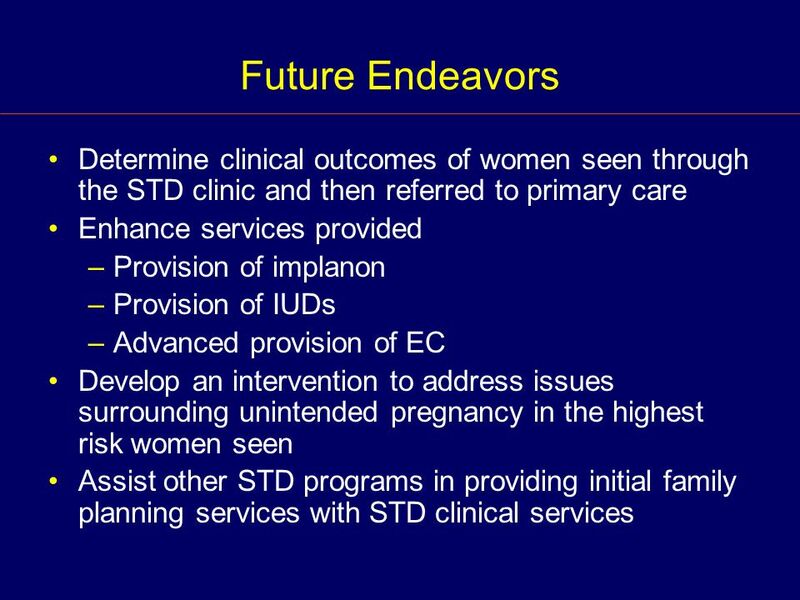 Ensuring Informed and Voluntary Decision Making MODULE 4 Facilitative Supervision for Quality Improvement Curriculum 2008. 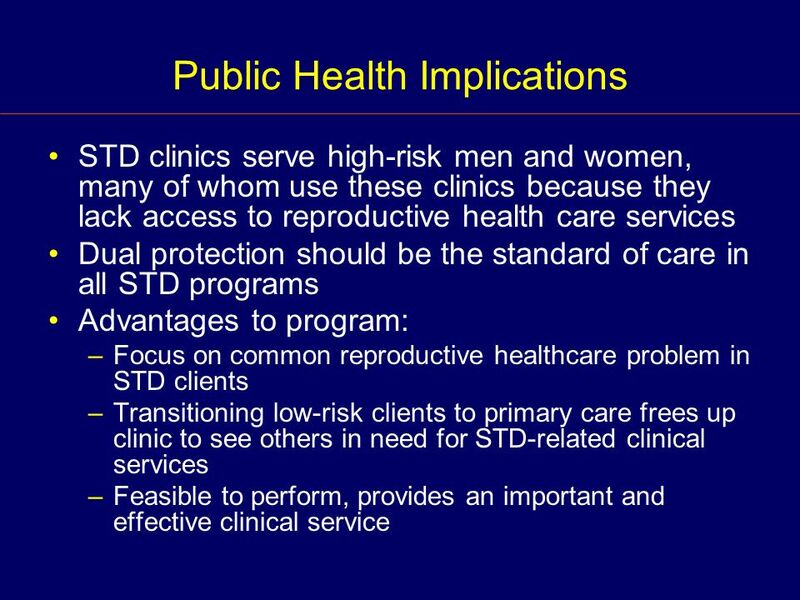 Unmet need for family planning and low rates of dual method protection among men and women attending HIV care and treatment services in Kenya, Namibia. 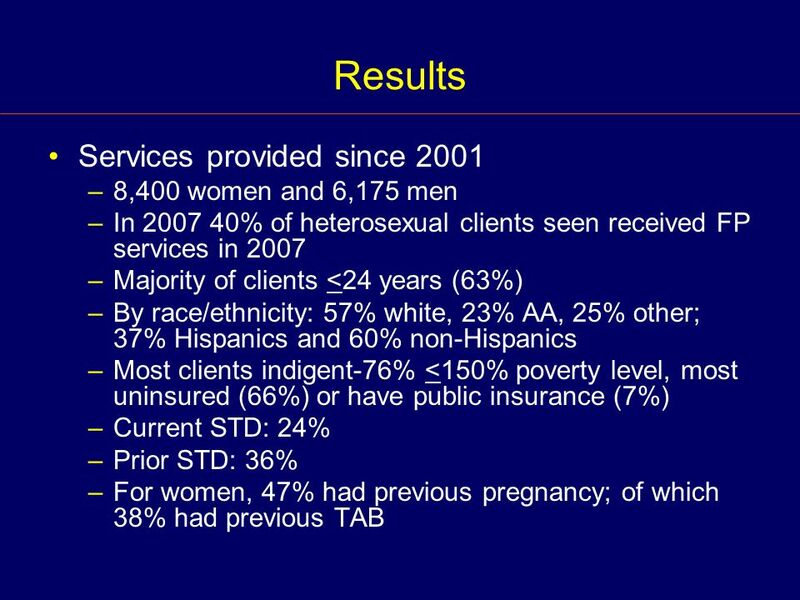 STD Screening in HIV Clinics: Value and Implications Thomas Farley, MD MPH Tulane University Deborah Cohen, MD MPH RAND Corporation. 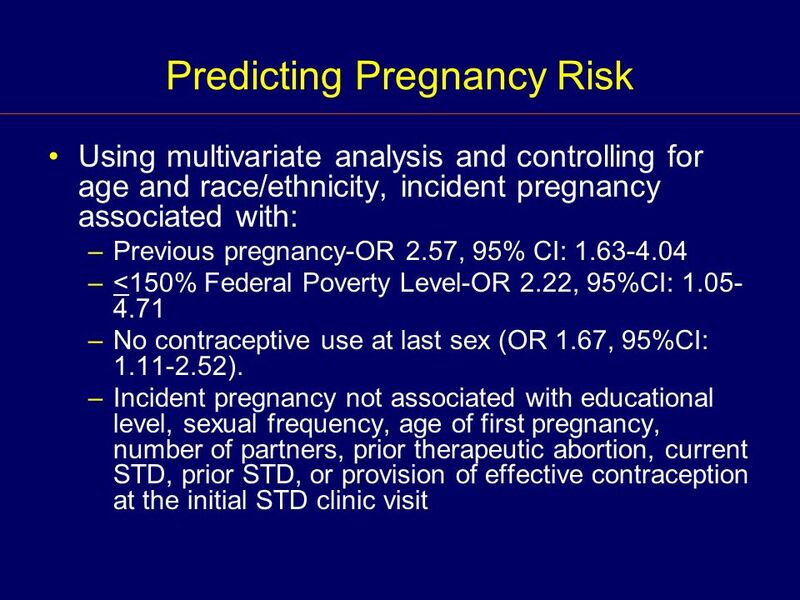 Contraception/Pregnancies MTN 020. 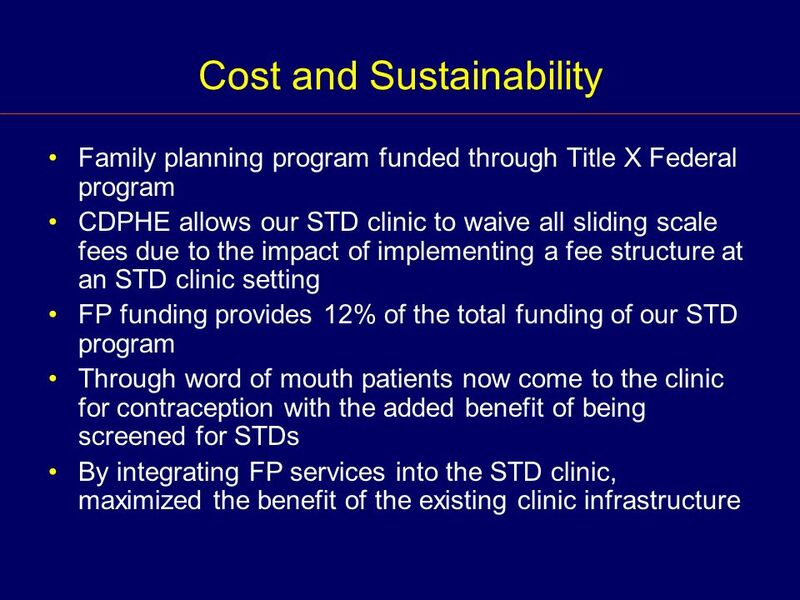 Why do we care? 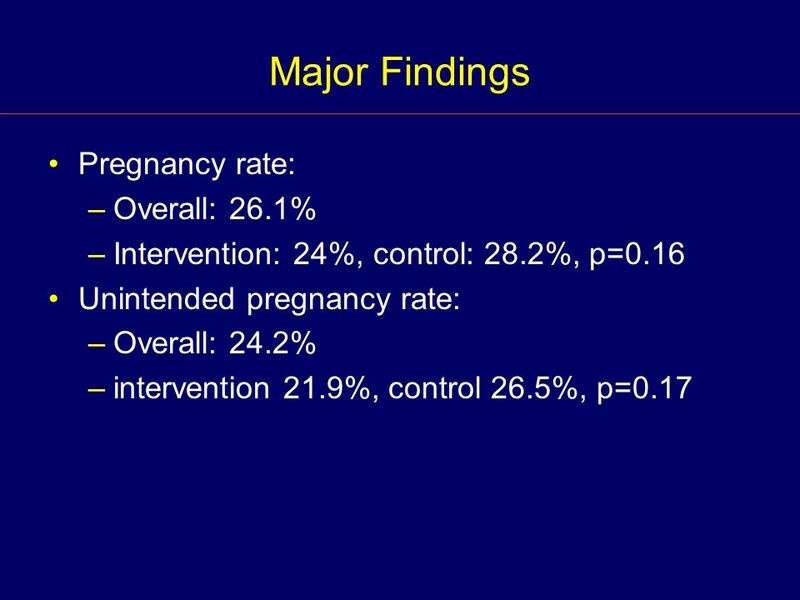 Participants must come off product during pregnancy and breastfeeding – Studies of dapivirine in pregnant. 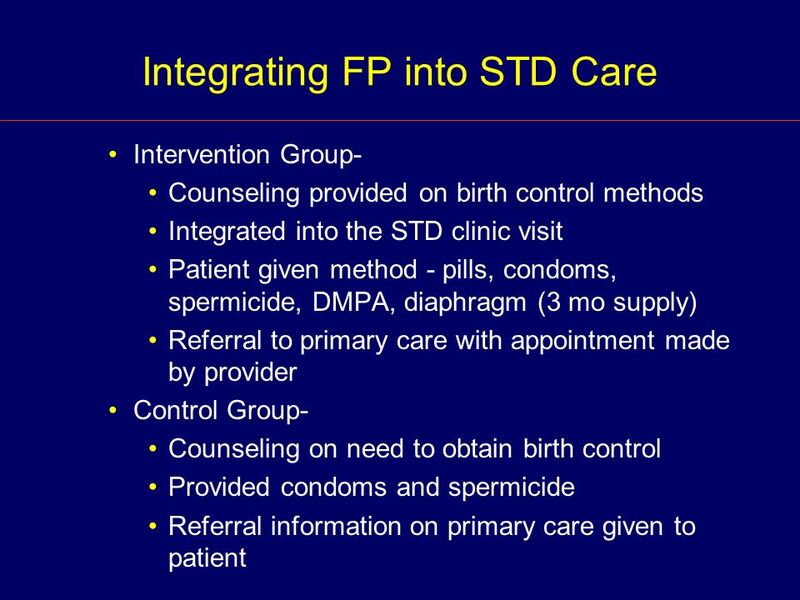 1+1=3 FP/HIV Integration Africa SOTA June Purpose of This Session Review key concepts of new guidance Reality check-in through small group discussion. 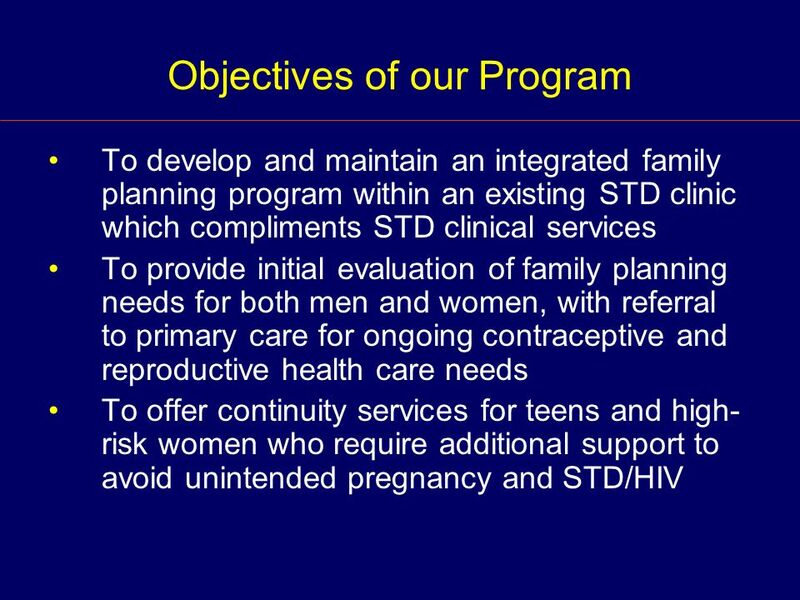 FP/HIV Programming in Ethiopia Endale Workalemahu (M.D., MPH) PSI/ETHIOPIA September 18, 2015.